The FPC certification is valid for three (3) full calendar years following the year in which certification was most recently obtained. For example, certifications awarded in 2017 will expire on December 31, 2020. In order to maintain certification, FPCs may be recertified by retaking and passing the FPC Examination during the third year of their certification period or by meeting the Continuing Education requirements. FPCs that retake and pass the examination will retain their original certification date in APA's records. Allow 10-12 weeks for reviewing recertification logs before contacting APA's Certification Department. The CPP certification is valid for five (5) full calendar years following the year in which certification was most recently obtained. For example, certifications awarded in 2017 will expire on December 31, 2022. In order to maintain certification, CPPs may be recertified by retaking and passing the CPP Examination during the fifth year of their certification period or by meeting the Continuing Education requirements. CPPs that retake and pass the examination will retain their original certification date in APA's records. Allow 10-12 weeks for reviewing recertification logs before contacting APA's Certification Department. In order to maintain FPC certification, designees must accumulate a minimum of 60 qualifying Recertification Credit Hours (RCHs) within the current three (3) year recertification period and remit the appropriate recertification fees OR take and pass the Fundamental Payroll Certification Examination by the certification expiration date. Refer to the Fundamental Payroll Certification Candidate Handbook for full examination information. Recertifying by exam – you must pass the FPC exam prior to the certification expiration date. Refer to the section "Recertification by Examination" for details. Recertifying through continuing education – each program must be recorded in the Recertification Program Log online. Documentation verifying participation must be retained in the event you are randomly selected for a mandatory audit. In order to maintain CPP certification, designees must accumulate a minimum of 120 qualifying Recertification Credit Hours (RCHs) within the current five (5) year recertification period and remit the appropriate recertification fees OR take and pass the Certified Payroll Professional Examination by the certification expiration date. Refer to the Certified Payroll Professional Candidate Handbook for full certification information. Recertifying by exam – you must pass the CPP exam prior to the certification expiration date. Refer to the section "Recertification by Examination" for details. If an FPC certificant attains the Certified Payroll Professional (CPP) designation, only the CPP designation may be used and recertified. A new recertification period begins and is governed by the procedures for CPP recertification. FPCs choosing to recertify by examination must pass the FPC Examination during the third year of their most recent certification or recertification (e.g. those with an expiration date of December 31, 2017 must pass the FPC exam no later than December 31, 2017). If an FPC's certification has expired, the recertification policies are not applicable, and the former FPC certificant must retake and pass the exam to become certified. Recertifying by examination ensures the retention of the FPC's original certification date. After successfully completing the exam, recertifying FPCs will receive an email and link to an electronic recertification log and instructions to order their replacement certificate. CPPs choosing to recertify by examination must pass the CPP Examination during the fifth year of their most recent certification or recertification (e.g. those with an expiration date of December 31, 2017 must pass the CPP exam no later than December 31, 2017). If a CPP's certification has expired, the recertification policies are not applicable, and the former CPP must retake and pass the exam to become certified. Recertifying by examination ensures the retention of the CPP's original certification date. After successfully completing the exam, recertifying CPPs will receive an email and link to an electronic recertification log and instructions to order their replacement certificate. Login with your APA username and password to access the online Recertification Log here and begin recording your RCHs. For FPCs recertifying for the first time, the recertification period begins the day certification is attained through December 31, three full calendar years later. For example, for a certification attained any time in 2014, the FPC designee has from the date of certification until December 31, 2017 to obtain 60 qualifying RCHs. For FPCs who have recertified at least once through continuing education, the recertification period begins January 1 of the year following recertification and ends on December 31 of the third year following recertification. For example, for a certification expiration date of December 31, 2017, the FPC has from January 1, 2015, through December 31, 2017 to obtain 60 qualifying RCHs. Thus, the new recertification period begins January 1, 2018. For CPPs recertifying for the first time, the recertification period begins the day certification is attained through December 31, five full calendar years later. For example, for a certification attained any time in 2014, the CPP designee has from the date of certification until December 31, 2019 to obtain 120 qualifying RCHs. For CPPs who have recertified at least once through continuing education, the recertification period begins January 1 of the year following recertification and ends on December 31 of the fifth year following recertification. For example, for a certification expiration date of December 31, 2017, the CPP has from January 1, 2013, through December 31, 2017 to obtain 120 qualifying RCHs. Thus, the new recertification period begins January 1, 2018. RCHs can be earned by participating as an attendee or facilitator in most of the seminars or programs designed and administered by the APA or its affiliates. An FPC/CPP may attend pre-approved in-person educational activities or live webinars offered by local APA chapters or organizations other than the APA or its affiliates such as educational events, seminars, and courses. All programs presented by organizations other than APA national should be pre-approved by APA prior to submission toward recertification. To request approval of an educational event, email the content outline and agenda to [email protected] and in the subject line include the text: "RCH Approval Request". Does the content of the program fall within the FPC Content Outline and KSAs or the CPP Content Outline and KSAs? Does the content of the program fall within the definition of payroll industry? Payroll industry is defined as: production, reporting, accounting, systems, taxation, administration, and/or education/consulting. Was the program completed during the applicable recertification period? Is the program a participant in the APA Approved Provider or Local Chapter RCH program? If you are uncertain whether a program qualifies for RCHs towards FPC or CPP recertification, please contact APA's Certification Department at [email protected] or call (210) 226-4600. As you accumulate qualifying RCHs, record the required information on the program log. On your online Recertification Log, you will be able to: enter each qualifying education program attended, select the appropriate payroll content area, and fill in any other required information such as date of completion, and type of documentation as proof of completion. Qualifying APA National courses, seminars, and conferences will be auto-populated on your online Recertification Log. RCHs can be logged only once per program attended, as a participant and/or instructor, within a calendar year. 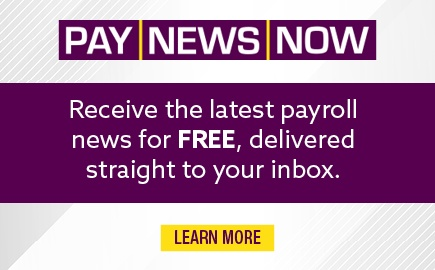 For example, attendance as a participant and/or instructor of APA's Payroll Practice Essentials in February and again in June qualifies only for the initial RCHs earned in February. Qualifying programs providing learning opportunities within the exam content outline include APA national events, approved APA local chapter meetings, regional, or statewide conferences; approved college or university courses; and vendor or third-party programs offered by approved providers. All programs must cover material within the FPC or CPP exam's content outline or within the areas defined as the payroll industry and must focus on increasing knowledge and/ or skills in the practice of payroll. Payroll industry is defined as: production, reporting, accounting, systems, taxation, administration, and/or education/consulting. It is not necessary to submit all documentation for proof of completion when recertifying. However, the certificant is fully responsible for retaining all documentation and submit to APA's Certification Department in the event that they are randomly selected for a mandatory audit. 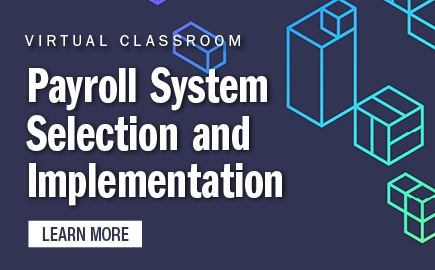 The FPC or CPP is responsible for maintaining an accurate record of each program attended along with the required documentation as outlined above that qualifies for FPC or CPP recertification. To recertify through continuing education, qualifying RCHs must total at least 60 for the FPC designation and at least 120 for the CPP designation. RCHs in excess of the 60 (FPC) or 120 (CPP) cannot be carried over into the next recertification period. Accredited college/university semester or quarter credits must be converted to RCHs for the purpose of logging recertification information. Effective January 1, 2014, all national-level APA members will be granted three (3) RCHs per year for being a member in good standing. RCHs will be awarded at the end of the APA member's membership year based on anniversary date and will be applied in-full to the year awarded. Partial credit(s) will not be awarded for any membership term of less than one full year. RCHs will NOT be awarded to individuals who are not currently FPC or CPP certified. Please contact Customer Service at (210) 224-6406 or [email protected] for further questions or information regarding this member benefit. The online recertification log automatically populates all of your completed APA National education hours, however you must manually add the three (3) Recertification Credit Hours (RCHs) per year that you receive for being a national-level APA member in good standing. The APA will verify your membership year based on anniversary date. APA Membership is NOT required to take the FPC or CPP examination. Courtesy reminder email notices are sent to FPC and CPP designees in the spring and fall of the year in which their certification is due for renewal, however it is the certificant's responsibility to submit their Recertification Log online and make their recertification payment online by the appropriate deadline. The recertification fee for the FPC or CPP designation may be paid online corresponding to the date of certification expiration. 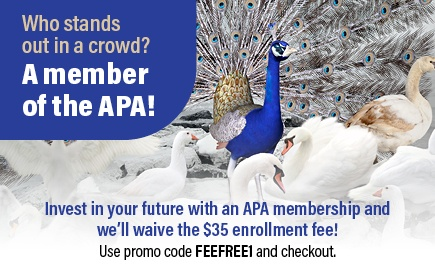 To submit payment online, login with your APA credentials. Only the Recertification Log and recertification fee are required to be submitted. Do not submit any applicable documentation unless due to audit, during reinstatement, or upon request from the Certification Department. All recertification, late, and reinstatement fees are non-refundable. If recertifying through continuing education, FPC and CPP designees have until February 14 of the year following the recertification period to submit the recertification log and fees to the APA. For example, an FPC with a certification expiration date of December 31, 2016 has until February 14, 2017 to submit the recertification log and fees without late penalties. For example, a CPP with a certification expiration date of December 31, 2016 has until February 14, 2017 to submit the recertification log and fees without late penalties. All RCHs must be earned by December 31 of the year in which the certification expires and is due for renewal. If recertifying through re-examination, FPCs must take and pass the FPC exam during the year their certification is due for renewal. For example, an FPC with a certification expiration date of December 31, 2016 must take and pass the examination prior to that date. For example, a CPP with a certification expiration date of December 31, 2016 must take and pass the examination prior to that date. Recertification Logs and/or fees submitted on or after February 15 and prior to June 1 of the same year, are considered late and will be assessed a late fee, in addition to the regular recertification fee. Recertification Logs and/or fees submitted between June 1 and December 31 of the same year will be assessed a reinstatement fee, in addition to both the late fee and the regular recertification fee. Mandatory audit is required for all reinstatements. All proof of completion documents MUST be submitted with the Recertification Log during the reinstatement period. FPC and CPP certificants who do not meet the recertification requirements or who fail to submit the applicable information and/or fee(s) will be considered inactive, retroactive to December 31 of the year in which the recertification was due. It is the certificants responsibility to know when their certification expires. FPC and CPP certificants whose Recertification Logs and/or fees are received more than 5 months late (between June 1 and December 31 of the year following your certification expiration ("valid through") date will need to request that their designation be reinstated. Recertification Logs sent by those seeking reinstatement must be accompanied by proof of attendance at educational offerings listed on the Recertification Log and the reinstatement fee. The reinstatement fee is in addition to both the late fee and the regular recertification fee and is non-refundable. After the reinstatement period has passed, candidates must retake the exam. Send all reinstatement documentation to [email protected]. Approximately ten percent of recertifying FPCs and CPPs are randomly selected for an audit. If selected, a notice and detailed instructions for the audit process will be sent via email. The FPC or CPP must send all documentation (certificates, letters of completion, official transcripts, etc) for the educational activities listed on the online Recertification Log to [email protected]. All documentation must be submitted within 30 days of the audit notification. Should all course activities and documentation provided meet the recertification guidelines, the certificant will be notified of the recertification status and will receive instructions on how to order a new complimentary FPC/CPP certificate. Should it be determined, as part of the audit process, any of the course activities and/or the documentation provided does not meet the recertification guidelines, the CPP designation will be revoked. Any recertification fees that have been paid are non-refundable. If the certificant does not pass the audit and the FPC or CPP designation expires, it may be retained again by following the exam application process and testing during a future exam window. Once the APA has received all documentation pertaining to an audit, please allow 30 business days for APA to review the documentation. If an FPC attains the Certified Payroll Professional (CPP) designation, only the CPP designation may be used and recertified. A new recertification period begins and is governed by the procedures for CPP recertification. Once the recertification program log has been approved and payment has been made, you will receive an email confirming that the recertification has been successfully approved and your date has moved forward. Please allow 48 hours after receiving the recertification approval email prior to ordering the complimentary certificate. Follow the instructions online to order the complimentary certificate. Click on "Learn More" under the FPC or CPP page, scroll to the bottom of the page. It is extremely important to keep your contact information current with the APA. 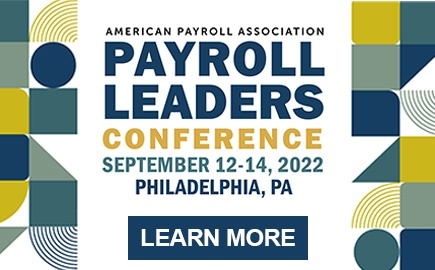 If you know your APA ID and password, please login to update your profile at www.americanpayroll.org OR if you need your APA ID and password, contact Customer Service: (210) 224-6406 or email [email protected]. Click on the "Add Class" button to create a new entry and enter information for an RCH-qualifying event. Completion Date: This should be the date on which a qualifying educational program was completed. Program Title: This is the title or name of the specific qualifying educational program attended as a participant and/or instructor during the recertification period. Course Code: If the event you attended was delivered through an APA Approved Provider or APA Local Chapter, enter the course code listed on the certificate of completion. Content Category: This field indicates the payroll content area that is within the FPC or CPP Exam Content Outline. Sub-Category: This field indicates the payroll content area that is within the FPC or CPP Knowledge, Skills, and Abilities (KSAs). Issuing Organization: Enter the name of the organization, company, Chapter, college, university, or any other body that offered the specified educational event. Proof of Completion: Select the type of document provided as proof for completing the event. Note: It is not necessary to submit all documentation for proof of completion when recertifying. However, the certificant is fully responsible for retaining all documentation and submit to APA's Certification Department in the event that they are randomly selected for a mandatory audit. RCH Hours: Enter the applicable approved Recertification Credit Hours (RCHs) for each program attended.